A 50 minute odyssey into the making of this epic. Guerrilla Games and Sony’s Horizon: Zero Dawn, their superlative open world action RPG that launched almost two months ago on PS4 to great critical acclaim, is probably one of the best games that Sony has ever made. And if you are interested in knowing how the studio that used to be known for the gorgeous but unremarkable Killzone games went to making the captivating and compelling Horizon, you should watch this new documentary on the making of the game, by Vpro. The documentary is subtitled in English (so you’ll actually have to pay attention! ), and is over 50 minutes long, detailing the development process behind the game. It’s actually a bit inspiring seeing how a game like this ended up coming together. 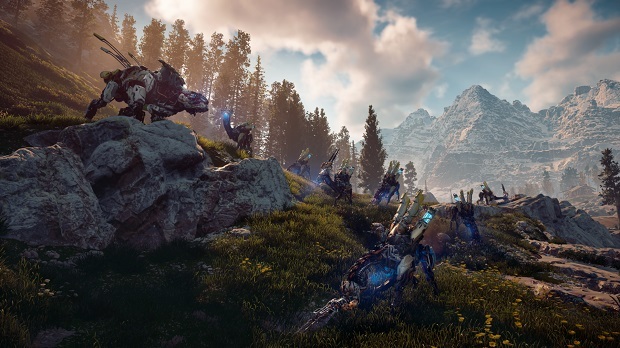 Horizon: Zero Dawn received rave critical acclaim when it launched, including a rare 10 from GamingBolt. Make sure to watch this documentary, and stay tuned for more coverage and information on the game.